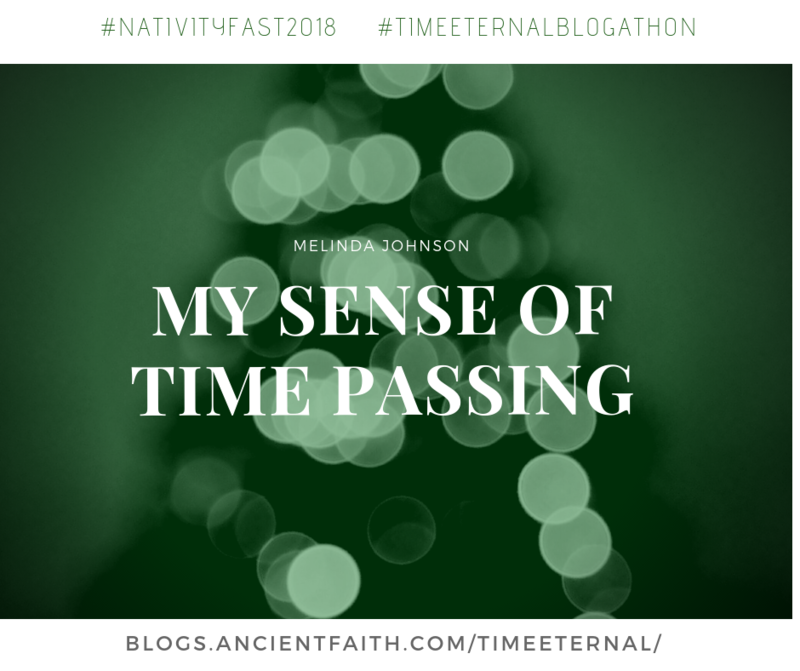 This morning, I am welcoming Melinda Johnson, friend and fellow author back to Time Eternal. She’s sharing with us a reflection she wrote some years ago that to me hits on an important and sometimes painful question: how do we find purpose in our lives? Many of us try to enact meaning in our lives by seeking after goals–but what happens after those goals have been accomplished? 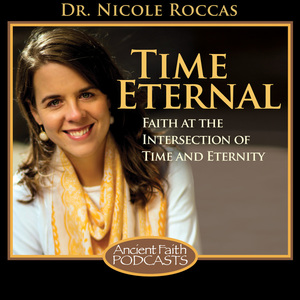 What happens to our relationship to time when so many of our grand plans have come and gone? 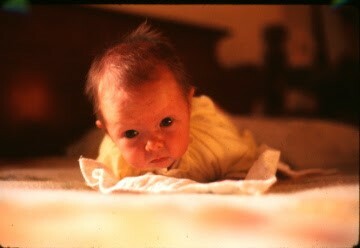 That tiny little soul peering at you from the picture above is me. The same me as the adult woman sitting here, up too late as usual, typing out her thoughts. In one hour, the year will end in my time zone, and another year will begin. Many things happened to me in 2010, some in my outer world, many in my inner world, but perhaps the largest change in myself that I see is the strong development of my sense of time as PASSING. I have watched time pass in other people’s lives for years, perhaps for as long as I have had a mature consciousness of what I was observing. But I realize now that at the core of my being, I always felt myself to be exempt. I was just looking on. Time wasn’t passing for me. My own time was as stretchy and boundless as my imagination, as easily held over, fluid almost to the point of nonexistence. I had a strong sense of daily time, the kind that tells me when I am late for a dentist appointment. But the time of my life, my life as a finite period on a finite planet, could not attach itself to me. But it has now. This year, I crossed a tangible threshold of awareness. I am alive. I have been alive for a period of time, and I will remain alive for another period of time. With plenty of salads and some good luck, it may well be a nice long period of time. But it remains a period, a thing with a beginning in the present, and an end. What else do I want to accomplish, while it lasts? How can I fill this time that I’ve been given to the brim? How can I make the most of it? When I was a teen, staring out at life as something about to begin, I had three goals. I wanted to marry my true love, I wanted to be a mother, and I wanted to write a book. I’ve done it. As of this year, I have accomplished all three. But as of this year, I have fully discovered that all three are goals that are never fully met. They are always receding toward the horizon ahead of me. I have been married for more than 10 years, but where my teen self would have awarded me a “check mark” for that goal, my present self knows from experience that a real marriage is remade every day, or ceases to exist. Mothering is the same. Perhaps all love is like this. Sometimes it feels like one long prayer to do better, interspersed with moments of such deep contentment that I can only thank God they happened to me. And what about writing a book? That wasn’t an endpoint either. It was a door, and once I came through it, I discovered the long corridor on the other side, and the ongoing urge to keep writing. So this is the answer to my new awareness that time is passing. I can’t slow it down, and I can’t fill it up by snatching hopefully at everything that glitters. I can make the most of it by reaching each day for the three goal posts of my life, over and over again, striving each time for a little more perfection, knowing that the greatest perfection rests not in my efforts but in the thing itself, in what is loved. 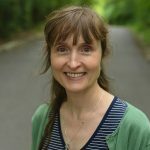 Melinda Johnson is an Orthodox Christian, wife, mama, writer, and the author of Letters to Saint Lydia (AFP, 2010), The Other Side of the Bonfire (LSP, 2012), Shepherding Sam (AFP, 2016), The Barn and the Book (AFP, 2018), and Piggy in Heaven (Paraclete Press, January 2019). Melinda has a Master’s in English Literature because she loved taking literature classes so much she couldn’t stop doing it. During business hours, she thoroughly enjoys serving as the Marketing Director at Ancient Faith Ministries, where she encourages creative people, organizes events, and revels in the constant opportunity to share good news. You can contact Melinda and read more of her writing at melindajohnsonwriting.com. This post is part of a Nativity Blogathon on Time Eternal. Catch up on the rest of the series here and subscribe to this blog to get the daily posts in your inbox. What a helpful way to understand goals as unfolding and deepening as opposed to static and checked off a list! Thank you… this freed me to think of some old goals in new ways. Much appreciated and needed medicine this morning!